The band's frontman was said to have suggested that the group might take a three-year hiatus at an Australian gig last week, but he has now confirmed that they have started working on the follow-up to last year's Mylo Xyloto. "I've been writing songs and I'm so fired up about the band's future. I'm fortunate to do what I do and no way do I want to stop," he told the Daily Star. "This three-year break only came about because I said at a gig in Australia that we might not be back there for three years. That's probably true, but that's just how a world tour works. No chance are we taking a three-year break." 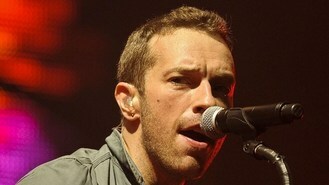 Chris - who is married to Hollywood actress Gwyneth Paltrow - added to The Sun: "It happens to us every album. I say on stage, 'I'll see you in a bit', then we always bring out another album and look silly because everyone's like, 'I thought you retired?'" He joked: "The album is definitely coming, unless the rest of the band decide to pursue their modelling careers of course - goodness knows mine is over."